The new standard in customizing print products. LayoutBuddy® is the easiest web2print design tool, that let your customers design their print products online. We create the best user experience and simplest integration for your online print shop. The complete design toolkit for online print shops. 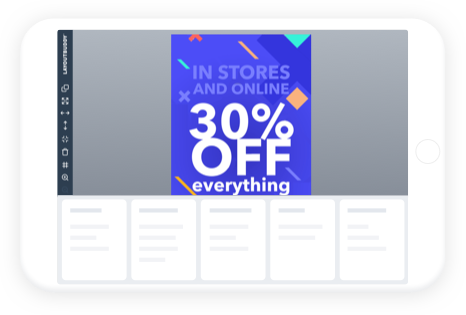 Integrate LayoutBuddy® online editor in your print shop and offer your customers the opportunity to design their own prints. We have been working for almost 10 years in creating the most flexible tool to integrate in any online print shop. Thanks to LayoutBuddy, your customers can design and configure their own flyers, banners, beach flags, mugs and much more. Thousands of print shops already trust us and easily process ready-to-print PDFs, designed by their customers. LayoutBuddy® runs entirely in the cloud, which means, that you don't have to worry about technology. No hosting or processing of big image files, no costly servers. 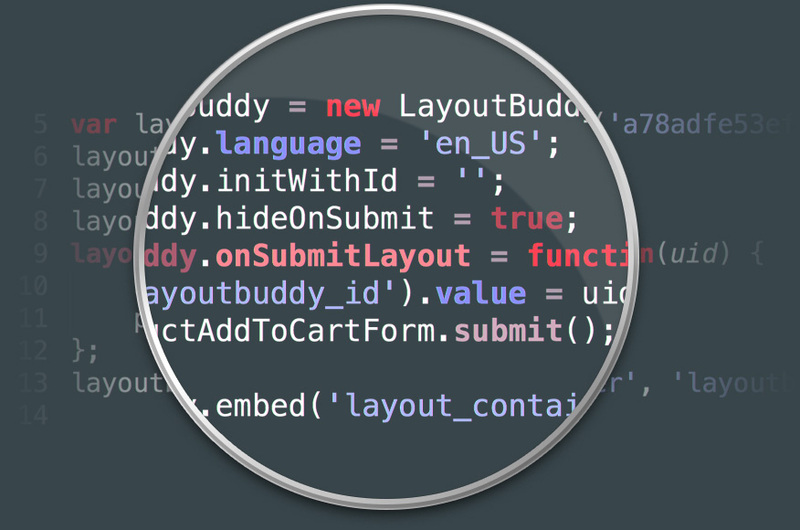 LayoutBuddy® can be integrated into any online shop or website. For immediate start, we offer ready-made plugins for popular shop systems. Since 2008 our mission has been to create the most user friendly web2print design tool. Thanks to continuous feedback from our many customers, we understood the importance of WYSIWYG* and have made it our credo. The final result is our own unique 5 step process. We guide the customer from an idea to the final product with transparent pricing, all in one page. This has proven to be a game changer, reducing bounce rates and boosting revenues. Built on web standards (Html5 + Css). Runs seamlessly on most modern browsers, both on desktop and tablet devices. No more additional plugin like Flash or Java needed, nor any installation by the clients. Start now with our new technology and our new look.